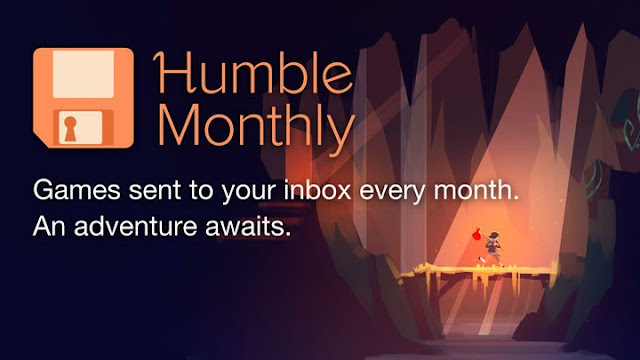 Somnambulant Gamer: Humble Monthly; Is it Worth it? Humble Monthly; Is it Worth it? Earlier today, Humble Bundle announced their latest in a number of additional services. 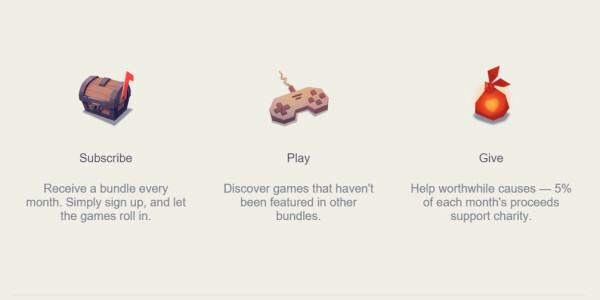 In addition to offering multiple bundles (weekly bundles, book bundles, dedicated mobile bundles, etc) and their storefront, now you can give $12 a month to receive a hand picked bundle from the online purveyor of indie games and charitable donations. It's an interesting idea, and many people have likened it to a digital Loot Crate, but do the numbers really add up? The announcement trailer gives the basic idea of Humble Monthly but it misses a few key specifics that I think are very important. To really understand what you're doing with that money, I'd recommend that you read up on the FAQ posted with the reveal earlier today; it's far more edifying than the 20 second video. Let's talk about the deal overall. For $12 a month you receive a number of games hand picked by people at Humble Bundle. The games are delivered digitally on the first Friday of every month and are redeemable through Steam for Windows and "sometimes more." You won't know which or how many games you're getting until the day they are released, but it does state that it will feature games that haven't been part of previous bundles. Finally, 5% of every subscription goes to charity. Let's start with a little math. The cost is about the same as many bundle's average cost and works out to $144 a year. I often end up buying at least one bundle a month, which makes the price pretty tempting, but I think it's important to look at the charity angle. At 5%, you're giving $0.60 to charity per month or $7.20 a year. On a personal level, that's not much, but the real effectiveness of the donations will depend on the number of subscribers Humble Monthly attracts. I know many of you reading this are eager to point out that even a small donation to charity is better than nothing, and I'm not about to argue with that point; in fact, I generally agree with it. I suggest however, if charity is the reason you'd be subscribing to Humble Monthly, look into buying one of the standard bundles each month instead. Since the beginning of Humble Bundle, buyers have been able to choose where the money they spend on bundles goes. Simply put, you can spend the same $12 on one of the other available bundles (mobile, weekly, book, etc.) and give up to 20x more to charity than under the Monthly program. So the charity angle breaks down pretty quickly under scrutiny. What about the value of the games in the bundles? Unfortunately, this is nearly impossible to answer at the moment. Until we know more about the contents of each bundle, there is no clear answer. I'd imagine it's pretty easy to get more than $12 worth of games in a bundle, but the real determinant of value here is the buyer's interest in the games. Even the best strategy game is worthless to someone that doesn't have any interest in the genre. If the service were tuned to work more with the buyer's tastes, working more like Trunk Club than Loot Crate, people may be less hesitant to sign up. I started writing this article expecting to defend Humble Monthly. The more I look at it though, the more convinced I am that there has to be a better way to handle a service like this. The philanthropic benefit is minimal, the compatibility of the games is limited, and the value of each bundle is indeterminate. At this point, I think it is better to wait and see what Humble Monthly becomes.